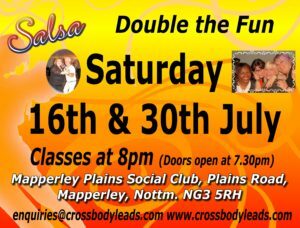 Dont forget tomorrow night Salsa at Mapperly…. You know where to find the fun, so see you all there. Don’t forget to put the other date in your diary as well.